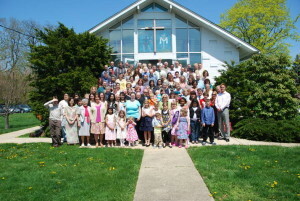 Calvary Baptist Church is a growing, vibrant Community of Believers in Jesus Christ. We value being “naturally supernatural” where Jesus, His Word and God’s Spirit are the same now as they’ve always been; healing, forgiving, changing, empowering, relating to us where we are and taking us to where God wants us to be. We want others to share in this relationship, so a big part of our ministry is reaching out to the community to show God’s love in practical ways. We meet for Bible B.L.A.S.T for children from Pre-K through 5th grade @ 10:00 am. At 10:00 am is our worship celebration. Join us as we worship and study about the Lord. Children’s Church is provided during each service. Mid-Week Prayer & Praise meets 2nd, 4th, 5th Wednesdays @ CBC. Our church is located at 1305 Oceanport, New Jersey 07757-0234 and you can reach us by phone at (732) 542-2226.